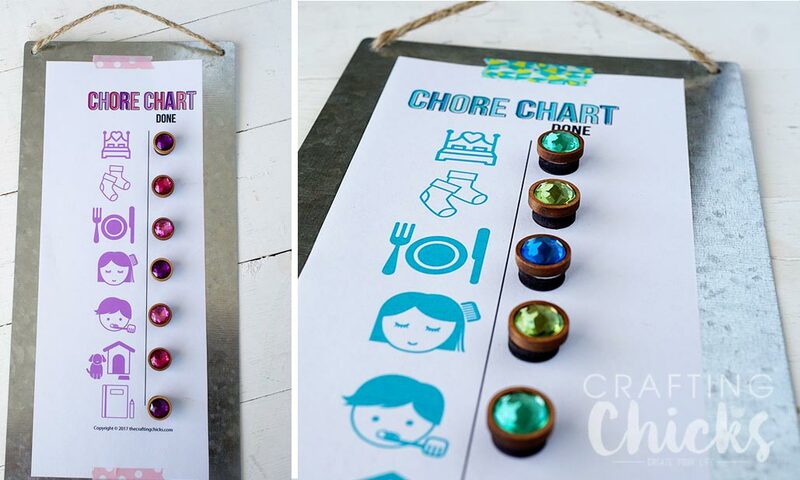 Need a fun new way to motivate the kids to help clean? 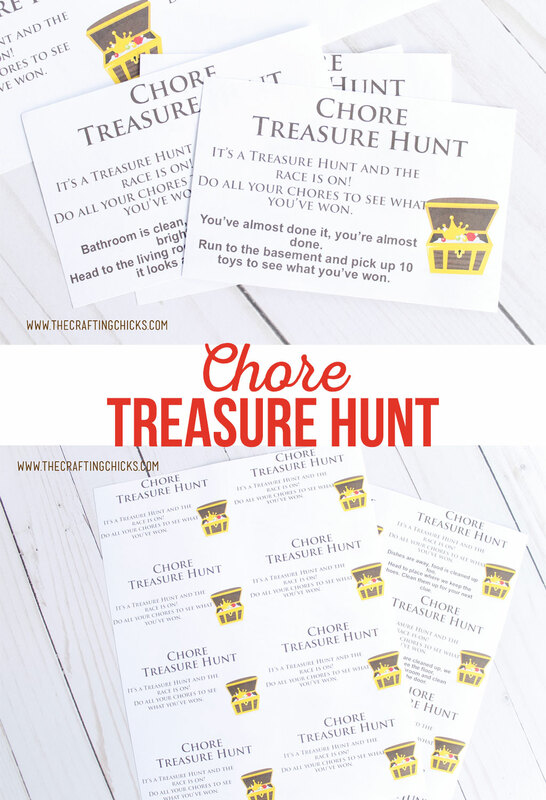 Try this Chore Treasure Hunt. Kids will be running around cleaning before you know it. 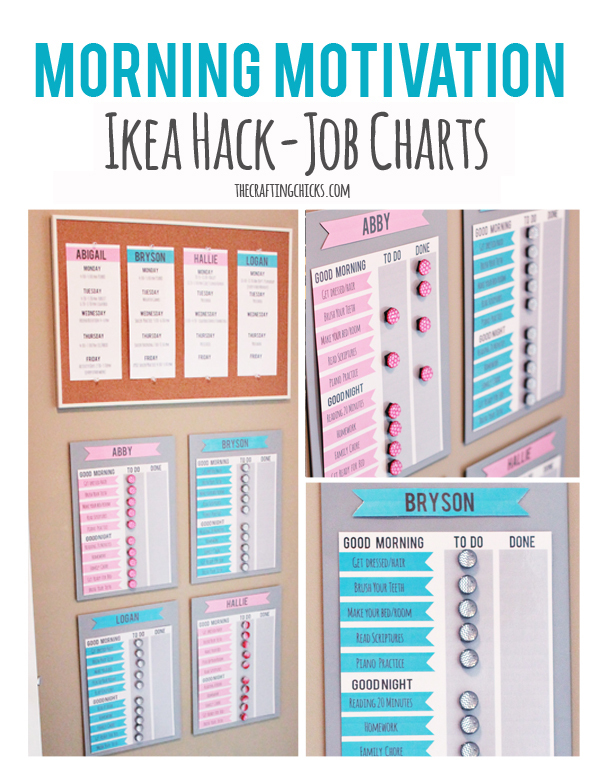 I feel like I am always looking for ways to motivate my kids to help me clean. 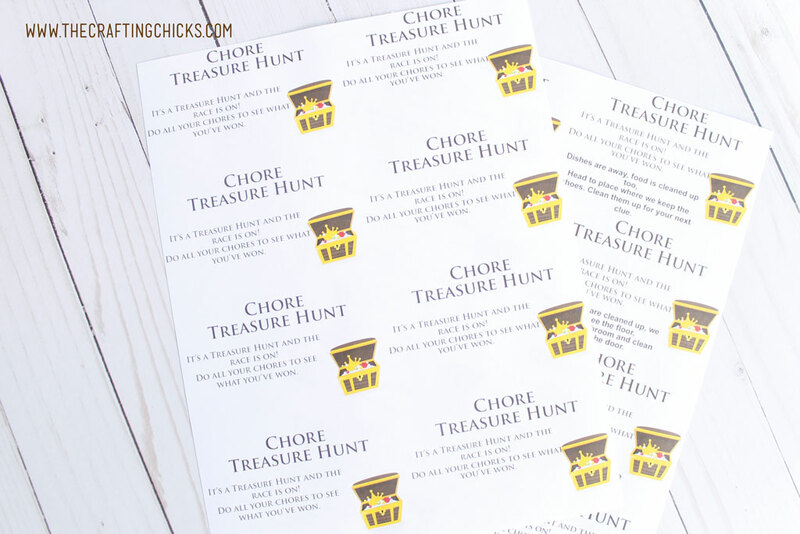 I overheard someone talking about doing a treasure hunt to get kids to do their chores, so I thought I’d give it a try. Guess what! It worked. 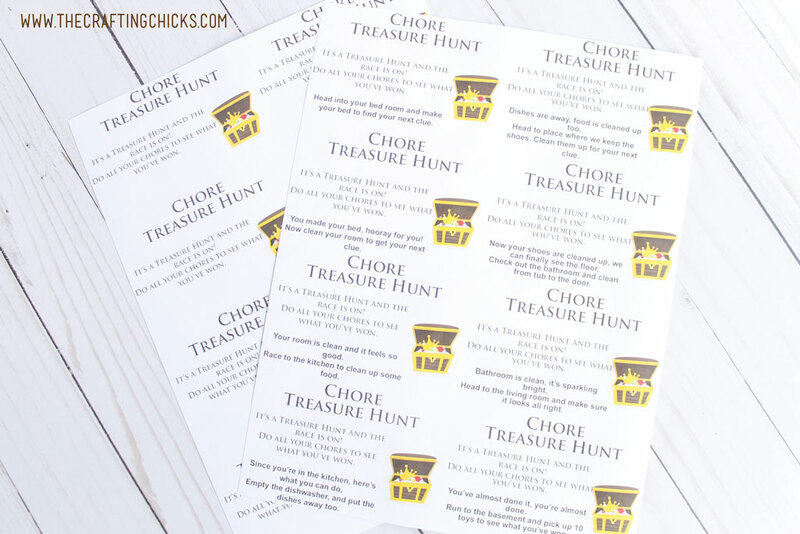 Here’s what you need to know about getting a Chore Treasure Hunt to work for you. Of course I had to share that success with all of you. 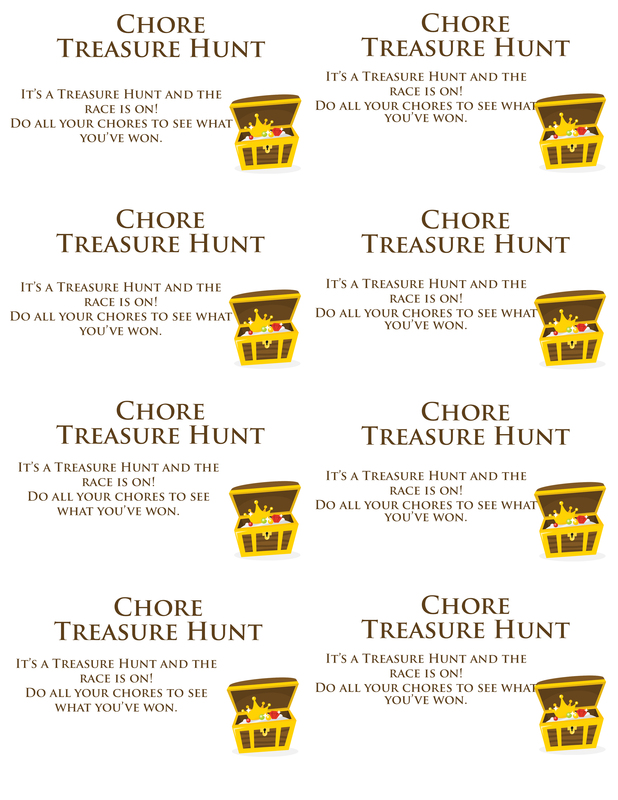 I even made some fun printables to help you get the ball rolling. *Remember all printables are property of The Crafting Chicks, LLP. Please do not alter or resell as your own. When I do the treasure hunt at my house, I use clues that are similar but pretty specific to our house. The clues above are ones that could be used in any home or apartment easily. But if you would prefer to be specific like me, you can download the blank version and add your own clues. Or use the blank version to add more clues. Whatever will work best for your family. Here are a few tips that will help you place the clues strategically. Once you have your clues ready, hide them in reverse order. May just be my mom brain, but I forget what I’ve done if I don’t hide them in reserve. Hide them where kid won’t be able to see them. They need to clean up in order to find the next clue, so make sure that the clue is in the middle of the mess. 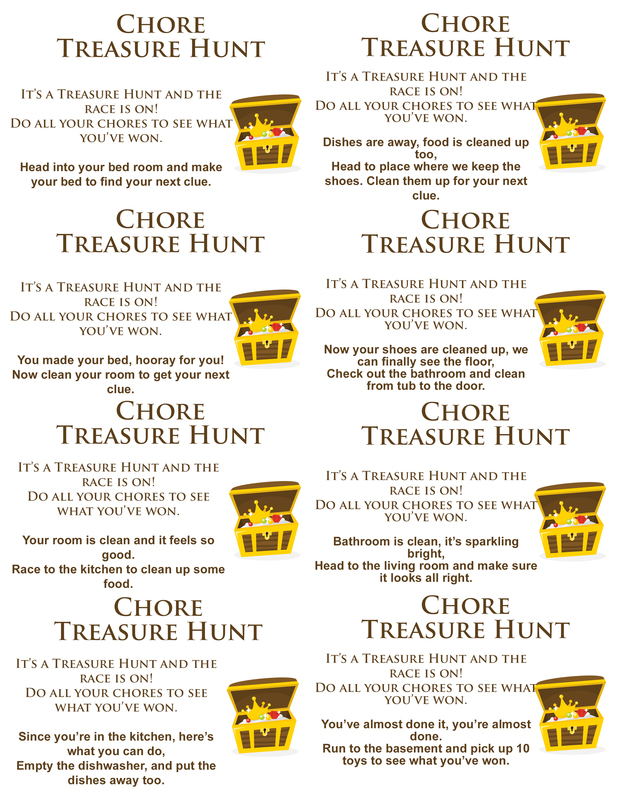 I always tell my kids that mom has to pass off the rooms before they get the prize. They will bring me their stack of clues once they are done and then they get to show me what they did. This is also a great way to praise them or help them do a little more. I like to pick up little toys here and there whenever I see them on sale. 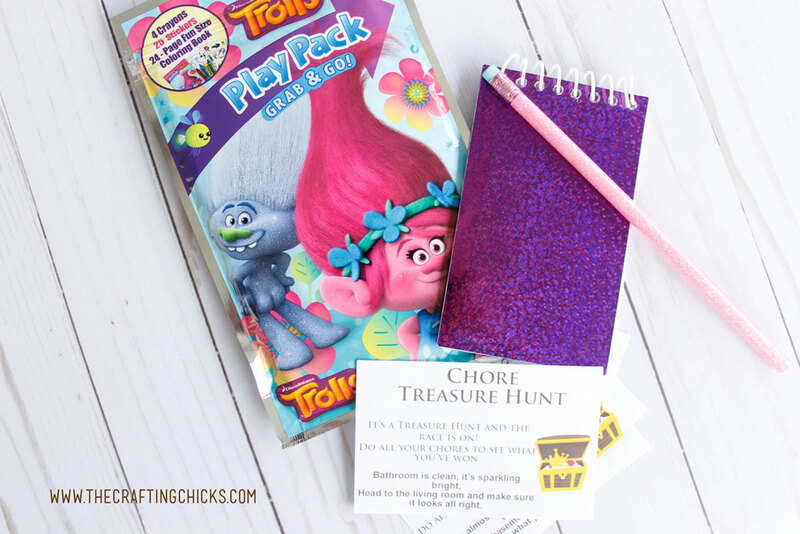 The Target Dollar spot is also a great place to find treasure box goodies. 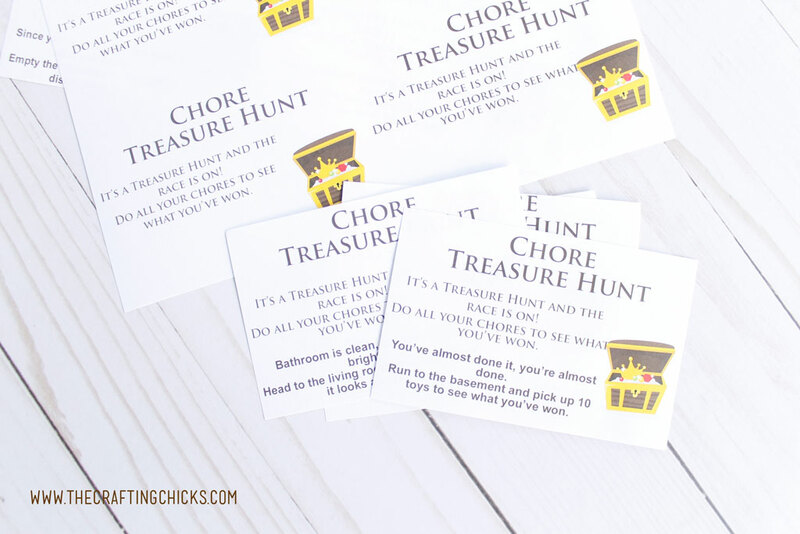 Another great option for the “treasure” is to let your kids earn a reward. Maybe that’s ice cream with mom and dad, or a trip to the aquarium. Whatever will make your little ones happy they cleaned.